If certain rumours are to be believed (and there are a few conflicting ones out there) the next Apple releases could see the light of day as early as next month. Gossip online has suggested the company plans to unveil not one, but two new mobile phones in September, with those claiming to be in the know suggesting these will be called the iPhone 5C and iPhone 5S. It’s thought the iPhone 5C will be a budget alternative to the firm’s current flagship handset the iPhone 5, making use of a plastic case and made available at a lower price. It’s even possible different case colours will be used, perhaps helping it to appeal to a wider target audience and echoing what it has already done with the iPod. This would certainly help it to stand out from its current products, although a recent video only shows what is thought to be a white version of the case. 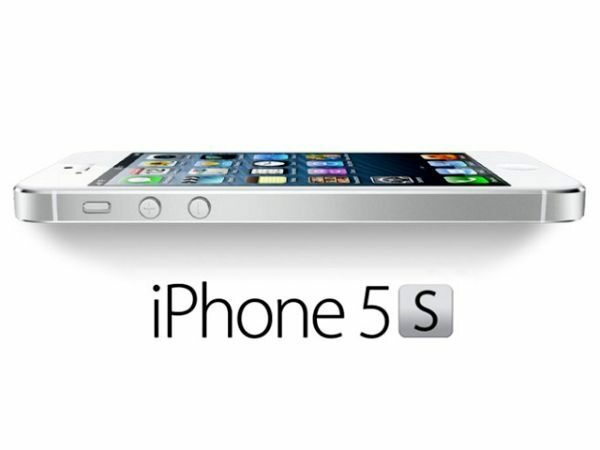 But it seems Apple might be banking on the iPhone 5S to continue its success at the higher end of the market. It’s expected this will — on the outside at least — be much the same as the iPhone 5, but internally will feature some tweaks to help it compete with the very best 4g mobile phones currently available. Among the more exciting features some are saying the device might have is a fingerprint sensor, which would certainly improve security and should help it to stand out from competing handsets by the likes of Samsung and HTC. It could spell the end for the more old-fashioned pin code lock screens and make it nigh on impossible for anyone but the owner to access the device, making it a far less attractive prospect for thieves. It’s also thought a 12-megapixel camera will be introduced, an improvement on the eight-megapixels offered by its current flagship device. Some sources have also suggested a dual-LED flash with a pill shape will be used, a change from the iPhone 5’s circular flash. But of course, at this stage nothing has been confirmed. With iOS7 thought likely to be made properly available in September, it would perhaps make sense that Apple launches its upgraded operating system with a shiny, new phone to show it off. What would you like to see from the next Apple devices? Do you think the rumoured iPhone 5C will be a success for the company or do more harm than good? Wii the IOS 7 update be running in the uk in September ? The 5c is a big mistake.everyone will go for the 5s. Apple get your head out of Your Arxxx. Plastic nasty whats wrong with you Apple. it costs enough Make it like the 4 s. not cheap materials.